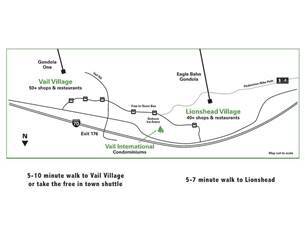 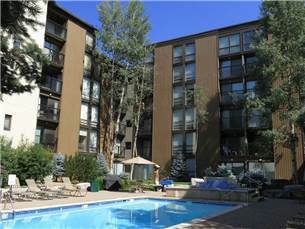 Enjoy apres ski at unit #106 Vail International, a 2BR/2BA condo that features views of Vail Mountain as well as the outdoor heated pool and hot tub. 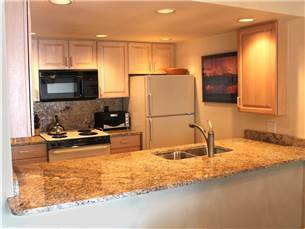 There is a full kitchen with granite counter tops and a dining table that can seat up to 6 people. 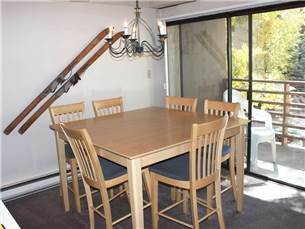 In the living room, there are two couches. 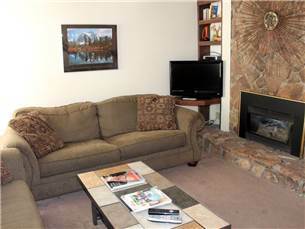 a fieldstone gas fireplace and a flatscreen TV. 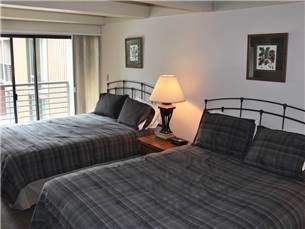 The master bedroom has 2 Queens and the 2nd bedroom has 2 Twins. 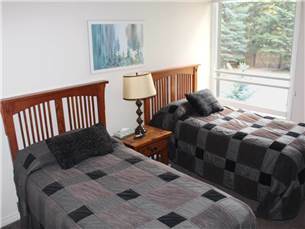 This is an excellent condo for four guys who want to ski together and have their own beds.